Do you protect your lead when you have a big lead? 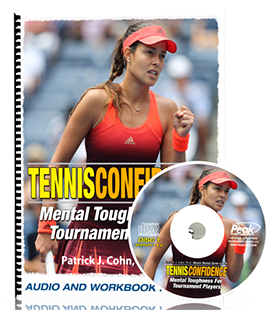 Many tennis players don’t perform their best because they play within their comfort zone. A comfort zone based on how you expect to perform. You expect to achieve certain statistics or beat an opponent by a certain score. Comfort zones are challenging when you are playing better than expected. 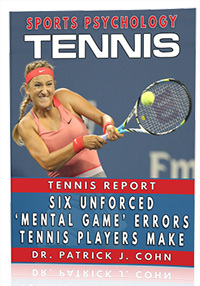 Tennis players performing outside of their comfort zone usually try to avoid making mistakes and protect a lead. It’s really not a problem with your focus directly. When you try to avoid making mistakes or protect your lead, you play more defensively, which can cause you to play too safe. You sit on your lead when out of your comfort zone. You’re nervous, anxious, or afraid when playing better than expected. You lose confidence when playing better than expected. You protect your lead and play defensively or are afraid to risk. You focus on not making mistakes rather than focusing on winning points. How can you play beyond your comfort zone? First, you should stop thinking about the score and how much you are ahead in the match. When you think about the score, you lose focus on the current point or game. Think of each game as the start of the match. 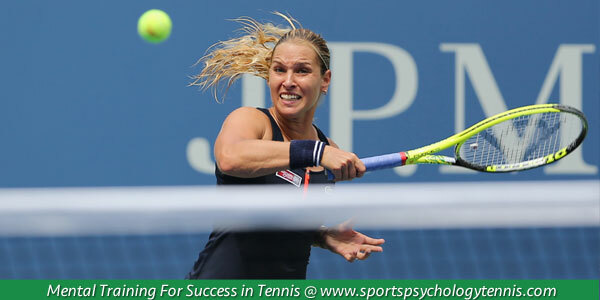 That way, you will play with the same intensity no matter if you are up or down in the match. You also can set positive goals to challenge yourself when you’re leading in a match. That way, you will avoid playing defensively. You want to keep playing aggressive tennis. Continue to go for your shots instead of just getting the ball in (or avoiding mistakes). Your aggressive play will help you keep momentum on your side and finish off the match.